Narcissistic personality disorder is a mental disorder that often causes people to form unhealthy relationships. 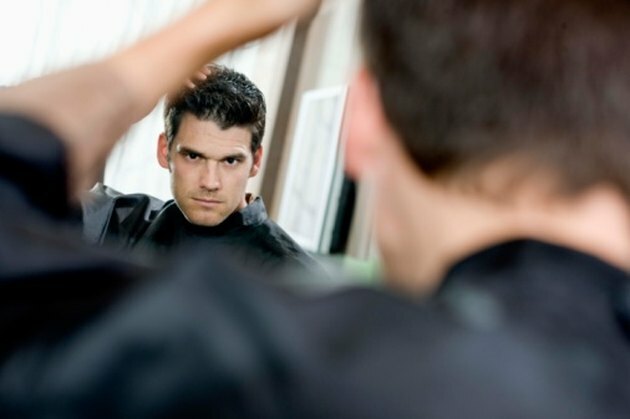 According to an article published in "Psychiatric News," 8 percent of men and 5 percent of women will develop narcissistic personality disorder in their lifetime. This disorder can cause people to be controlling and abusive to the people around them. If you recognize several of these signs in people you know, recommend that they seek mental health help. If you are in an abusive relationship with a narcissist, find a safe way out and seek counseling for your own recovery. The narcissist can be very controlling. This is especially true if the situation involves what others may think of him. He may tell you what to wear and how to behave and become enraged if you do not obey. The narcissist typically expects others to go along with his plans, regardless of the consequences. Most narcissists fall into one of two basic types: the somatic narcissist and the cerebral narcissist. The somatic (meaning body) narcissist is obsessed with his looks or athletic achievements, while the cerebral narcissist is focused on his intellectual prowess. According to the Cleveland Clinic, the person with narcissistic personality disorder is boastful and self-centered. While charming, his sense of entitlement quickly wears on those around him. He becomes dissatisfied if those around him do not recognize and praise the traits of which he is proud. According to the Cleveland Clinic, the narcissist is easily offended and can find offense where none is intended. He is quick to think someone gave him a dirty look or a putdown, when the other party may not have even noticed him. He then needs an ego boost from others around him. The narcissist quickly becomes enamored with people he perceives to be of high status. If they do not reciprocate, he devalues them and may carry out personal attacks on their character. According to the Mayo Clinic, the narcissist fails to recognize the feelings and emotions of others. He may be rude, abrasive or uncaring when someone is upset or crying. He may call others "stupid" or say other hurtful words when someone makes a mistake. His lack of empathy can damage his relationships with friends, romantic partners and his children. The narcissist typically has a history of relationships that ended badly. He finds a partner who leaves him to be worthless and will share that feeling with anyone who asks. He may have poor relationships with his parents, siblings and co-workers. He may have worked at many jobs, each for a few months before getting bored, angry or fired.